UPDATE: President Obama created the newest national monument on Oct. 10, 2014, by setting aside 346,000 acres in the San Gabriel Mountains. Los Angeles’s natural resources have been on fire lately, with a burn that isn’t whipped up from a blistering fall Santa Ana. In June, the Urban Waters Federal Partnership chose the L.A. River as one of seven polluted city waterways to clean up, then the U.S. Army Corps of Engineers allowed a pilot kayak and canoe program on the river in August. And now the National Park Service is determining whether our own San Gabes might be suitable for a national recreation area. According to its website, “The National Park Service (NPS) prepared the Draft San Gabriel Mountains and Watershed Special Resource Study to determine whether all or part of the study area is significant, suitable, and feasible for designation as a unit of the national park system. Congress authorized this study in 2003. In our era of downsized America, don’t think the last option might not appeal. After all, California is in the midst of closing 70 state parks to save money, and the national park system remains woefully underfunded. The department’s annual budget is $2.9 billion and includes some 28,000 full-time employees and over 2 million volunteers. President George Bush campaigned on a promise to wipe out an estimated $5 billion backlog in park maintenance projects, which had swelled to $9 billion by 2009, according to CNN, and was reduced by $1 billion through American Recovery and Reinvestment Act of 2009 funds. Michael Kellett, director of the New National Parks Project, told the liberal website Remapping Debate that he would like to see more federal land be made into national parks and be brought under the umbrella of NPS protection, a change he thinks might actually save the tax payers money. “What is missing from the conversation of the costs of new parks,” he said, “is that we are already paying to manage these lands and that it would probably be cheaper to make them national parks,” because many places adjacent to parks or that could be potential parks are already federally owned. Many are national forests, which are owned by the public but are logged, mined, or otherwise used by private business for small fees. The government maintains the roads and infrastructure of these areas and charges businesses for a permit to used the lands. So … why don’t you get your opinion on the record? The public comment period kicks off at the El Monte Senior Center (odd place for a kick off …) Saturday, Oct. 29, and runs through mid-December. 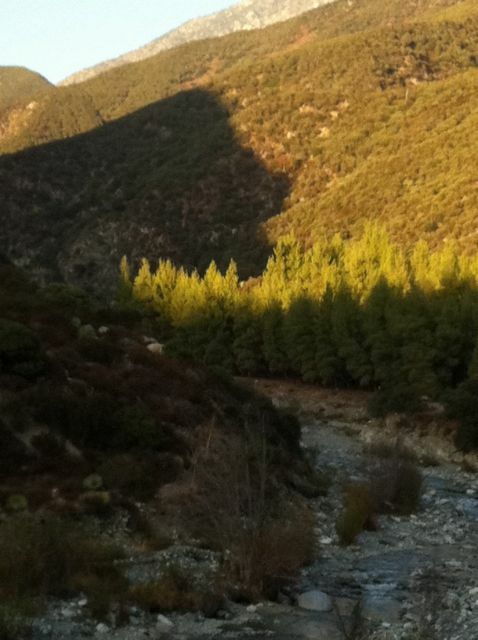 ← Which is your fav, the West or East Fork of the San Gabriel River? Awesome, thanks for sharing! The linked articles didn’t touch on it, but I wonder if moving forward this will affect the nearby experimental forest. 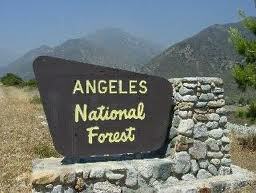 There is some rather detailed discussion of the San Dimas Experimental Forest and the facilities there. I would characterize it by saying that the Park Service believes that the area, along with the observatory on Mt. Wilson, offer an opportunity for visitors to learn about the historical scientific research that has gone on in the San Gabriels. Thanks for the info, Jim. I’ll take a look.